Cloud has become a viable option in almost every aspect of IT. With Microsoft’s push to move exchange environments to Office 365, many enterprises have already moved or planning to implement.Though Microsoft offers lot of great features such as security, and reliability, enterprises are postponing the adoption due to implementation challenges. Let’s find out what are the major risks in office 365 implementation. Access Issues: All deployments begin with access. Access to a business’ core infrastructure and domain is a critical success factor. Domain access (domain verification with clouds) is critical to begin the Exchange Online deployment. Those companies with no access to their domains will be challenged and suffered deployment delays. Mitigating Risk: With Office 365, you have a number of places where failure can occur – email, online protection, even just authentication can all be subject to failure – so if you acknowledge the possibility of Office 365 being down, you’ll need a plan on how your users will access and use email during that downtime. Need to find an alternative solution to keep your services working even if Office 365 is offline. Third party policies and solutions are there for efficiently handling an outage. Messaging Security: Spam filtering is one of the biggest challenges during Office 365 implementation. With on-premises Exchange, there are many choices of vendors to provide layers of security and hygiene for your messaging – some based at the gateway and some on the client. But when moving to Office 365, the options diminish significantly. Though Office 365 utilize Exchange Online Protection, it fail to address the more advanced attack that are realized at the connection level as well as the email content level. Data Loss: Data loss is often a major concern for Office 365 customers because Microsoft’s backup policies cannot guarantee a complete and speedy restore of lost data. Even when data is retrievable, the process is long and complicated, and retention policies vary for each application included in the cloud platform. New data retention policy setting introduced in Outlook can be a good news to office customers to some extent. But the retention policies can only protect you from data loss in a limited way and are not intended to be a complete backup solution. Migration: Office 365 migration can be either one of the easiest things or one of the most challenging. It mainly depends on the size and complexity of the environment you are working on. If you have an on premise Active Directory environment and you want to perform a migration, it won’t be an easy process. Exchange Server 2010 SP2 includes a wizard that reduces the number of steps from roughly 50 down to six, but the migration process is still tedious and requires a lot of advanced planning. FOR A SUCCESSFUL MIGRATION, IDENTIFY THE PIECES THAT ARE MISSING IN YOUR CURRENT ENVIRONMENT. ONCE YOU IDENTIFIED THOSE SEEK THE HELP OF SOME EFFICIENT THIRD PARTY PROVIDERS/SOLUTIONS THAT CAN PROBABLY MAKE YOUR MIGRATION AND RUNNING OF OFFICE 365 A FAR SMOOTHER PROCESS. 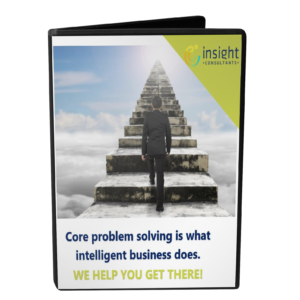 As your dedicated IT management arm, Insight Consultants can handle all of your computing and software, to allow you to get back to what you do best and concentrate on your own business.We already embraced the cloud by moving email, collaboration and document management onto Microsoft’s Office 365. With Office 365 providing Exchange, SharePoint, Lync and Office Web Apps services, we find this platform can effectively manage all communication and collaboration within the organization, with minimal retraining of technical staff or users. Our installation service transitions all your data and documents from your older version of Windows software to the up-to-date Office 365, without losing any information in the process. Our methodical approach RadicalRooting not just give you the solution for your problem, but will walk along with you till you get the expected benefits from our solution.